Beef up your Mercedes C350 Coupe with this overkill body kit and look like you're riding in the Black Series. Mercedes-Benz limited production of the C63 AMG Black Series to 1,000 models. Having arrived in dealerships at the beginning of the year, they have now all been sold. So if you had your heart set on one of these awesome machines but lucked (or were priced) out, German tuning house SGA Exclusive has a conversion kit that could be of interest. The carbon-fiber aero kit includes a front spoiler, front wings, side skirts, mirror casing and rear wing, all designed to mimic the C63 Black. 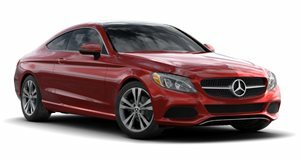 The Benz super-coupe&apos;s styling is further carried to the widened wheel arches, hood, front bumper, rear diffuser and rear wing. The interior has been kitted out in red carbon, which adorns the center console, dash, doors, steering wheels and arm rest. Completing the transformation are 21-inch Forge Alloy wheels and C63 AMG Black Series badging for the side and back of the car. More of a mimosa than tequila sunrise.